Ignacio in the Dark is officially released! Woohoo! Ignacio Soto’s thrilled when his fellow Seventh Grade Sleuths, Ju and Gunther, join him at the Lenape Environmental Center to explore the night sky at a state-of-the-art astronomical observatory. But the three friends are horrified when the enormous telescope moves eerily, all on its own, endangering dozens of visitors. Has someone sabotaged it? Has it been possessed? Are spies hacking into the observatory's computer? The amateur detectives take on the Case of the Out of Control Telescope, as the center’s popular Festival of Matter draws near. I’m grateful for Lenore Hart and David Poyer at Overdue Books for making Ig shine. And check out Shawn Yaney’s awesome book design below. I'm also thrilled to share that Timestorm was selected for the PRX/Google Podcast creator program. This 20-week accelerator program offers intensive training, mentorship, and support that will help Cocotazo Media take Timestorm to the next level. We can't wait to join the other five podcast creator teams for the kickoff next week at the Podcast Garage in Boston. What a way to start off the year! I can’t wait to see what else 2019 has in store! Hey, that's me and Michael! I have to say that one of the most exciting things about the medium of audio is how it’s truly global. Since the launch on November 25, Timestorm has had listeners from as far away as Australia and the Philippines as well as several countries in Europe, Canada, and more than half of the U.S. Certain narratives struggle to get past gatekeepers in various forms of mainstream media, and I’m so grateful that audio is an equalizer when it comes to audience access. Stories of all kinds deserve to be heard by audiences of all kinds. If you haven’t yet heard Timestorm, you can check out episode 1 below. I had a blast chatting with Alex Hensley for this Audio Drama Rama interview. I highly recommend Audio Drama Rama as a source for the latest audio fiction news, reviews, and recommendations. Martina and the Musician is a finalist for a couple Audio Verse Awards for Audio Engineering (Michael Aquino) and Writing (me)! Woohoo! Mi Casa Tu Casa and Timestorm Live are returning to the New Jersey Theatre Alliance Stages Festival in March. I’ll be sharing show dates and details soon! 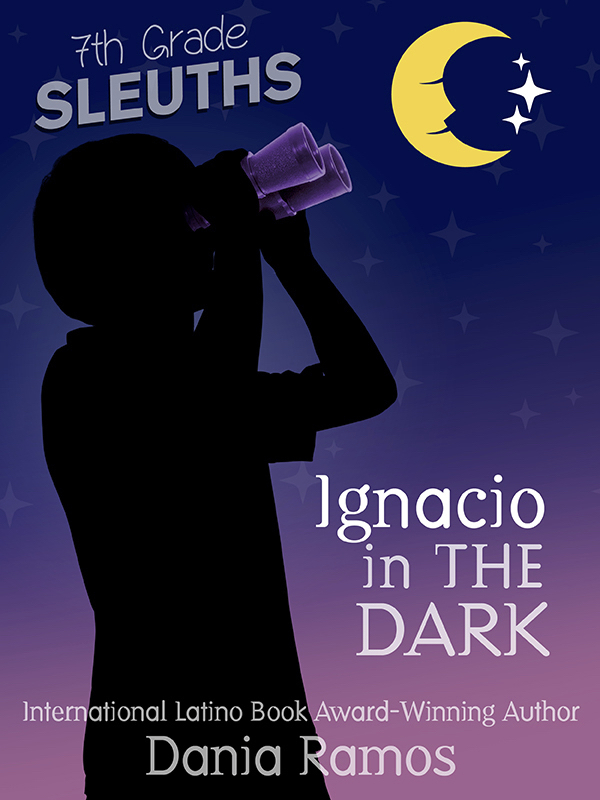 Ignacio in the Dark (7th Grade Sleuths Book #2) has an official release date of January 1, 2019. The cover will be revealed soon! I'm thrilled to announce that Hielo will be part of Teatro Vivo's Austin Latino New Play Festival along with scripts by Augusto Federico Amador, Victor I. Cazares, and Ramon Esquivel. A public reading of Hielo will be presented at the Emma S. Barrientos-Mexican American Cultural Center (600 River Street, Austin, TX) on April 21 at 8:00 pm. Admission: donation amount of your choice. Click here for more information. 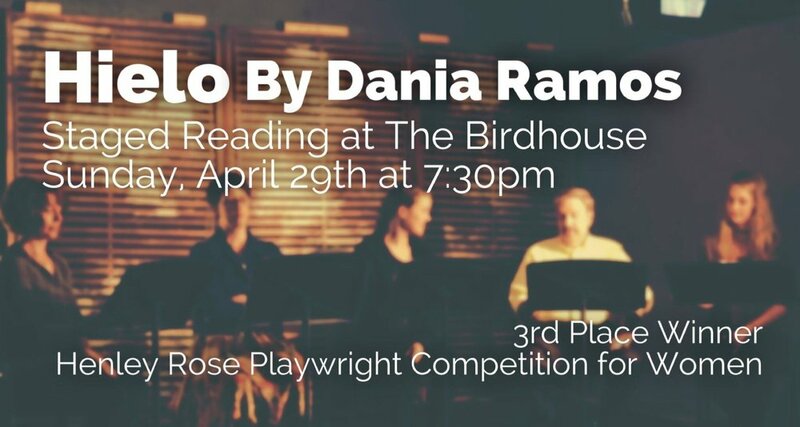 Hielo has also placed third in the Henley Rose Playwright Competition, and will receive a reading at the Birdhouse (800 North 4th Ave, Knoxville, TN) - the reading originally scheduled for April 29 has been postponed. The date and time are TBD. Last month, I had two projects included in the New Jersey Theatre Alliance's 2018 Stages Festival. Mi Casa Tu Casa, produced in partnership with Dreamcatcher Repertory Theatre, was presented at South St School in Newark and the Institute of Music for Children in Elizabeth. Our final show is April 6 at 4:00 pm at the Newark Public Library North End Branch. Timestorm, a children's audio drama series produced by Cocotazo Media, was also included in the Stages festival. The pilot episode was presented as a live audio drama reading at the Newark Public Library Main Branch. Mi Casa Tu Casa, Institute of Music. Timestorm team with NJTA's Ruth Zamoyta. At the end of the month, I have a short play in Dreamcatcher Repertory Theatre's production of Continuing the Conversation. The show features six works inspired by current events. Silent Aurora is set in the central mountains of Puerto Rico in the fall of 2017. A fourteen-year-old student and her teacher are cleaning a classroom when an assessor from the U.S. Army Corps of Engineers shows up to inspect school grounds. Harriet Trangucci will direct my play. The cast features Michael Aquino (my husband! ), Amanda Salazar, and Daria Sullivan. The other contributing authors for the production are Suzanne Bradbeer, Richard Dresser, Steve Harper, Lia Romeo, and David Lee White. Continuing the Conversation runs April 26-May 13 at the Oakes Center (120 Morris Ave, Summit, NJ). Tickets: $35 adults; $30 seniors 65+/students.